This name uses Spanish naming customs: the first or paternal family name is Llera and the second or maternal family name is Garzón. Miguel Ángel Llera Garzón (born 7 August 1979) is a Spanish former professional footballer who played as a central defender. He is currently a football coach and runs his own football academy. He played mostly in the lower leagues of his country, appearing in only 12 La Liga games with Gimnàstic. He moved to England in 2008 after signing with Milton Keynes Dons, going on to remain in the country until his retirement and represent a host of clubs, mainly Sheffield Wednesday (three years) and Charlton Athletic (two). Club Gimnàstic de Tarragona, commonly referred to as Nàstic, is a Spanish sports club based in Tarragona, in the autonomous community of Catalonia. Its football team plays in Segunda División. Milton Keynes Dons Football Club, usually abbreviated to MK Dons, is a professional association football club based in Milton Keynes, Buckinghamshire, England. It was founded in 2004, following Wimbledon F.C. 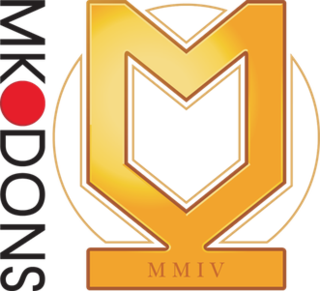 's controversial relocation to Milton Keynes from south London, when it adopted its present name, badge and home colours. 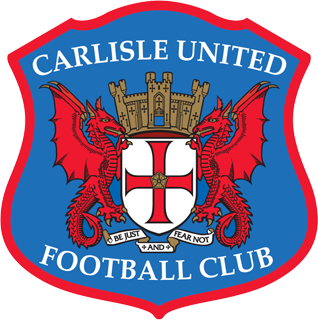 The club currently competes in League Two, the fourth tier of the English football league system, following relegation from League One at the end of the 2017–18 season. Llera was born in Castilleja de la Cuesta, Province of Seville. After unsuccessfully emerging through local Recreativo de Huelva's youth ranks, he represented several modest clubs until 2005–06, when he contributed with 27 games (scoring three times) to Gimnàstic de Tarragona's  return to La Liga after a 56-year absence; however, midway through the following season, he was released from contract, after appearing in 12 matches (all starts) for the Catalans and scoring in defeats against Real Sociedad (2–3, away  ) and Getafe CF (1–3, home  ) as Nàstic was eventually immediately relegated back. Castilleja de la Cuesta is a town and municipality in the province of Seville, in the autonomous community of Andalusia, Spain. The Province of Seville is a province of southern Spain, in the western part of the autonomous community of Andalusia. It is bordered by the provinces of Málaga, Cádiz in the south, Huelva in the west, Badajoz in the north and Córdoba in the east. Seville is the province's as well as the Andalusian autonomous community's capital. In 2007–08 Llera continued in Segunda División, but also failed to impress at Hércules CF, playing in only 11 games out of 42. The 2007–08 Segunda División season was the 77th since its establishment. The first matches of the season were played on 25 August 2007, and the season ended on 15 June 2008. Celta de Vigo, Real Sociedad and Gimnàstic de Tarragona were the teams which were relegated from La Liga the previous season. Racing de Ferrol, Eibar, Sevilla Atlético and Córdoba were the teams which were promoted from Segunda División B the previous season. 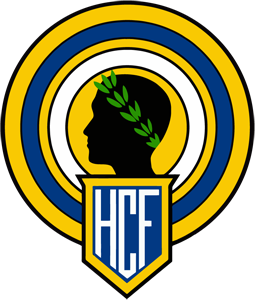 Hércules de Alicante Club de Fútbol, S.A.D. is a Spanish football team based in Alicante, in the autonomous community of Valencian Community. Founded in 12 March 1922, it currently plays in Segunda División B – Group 3 and plays its home games at the 30,000-capacity Estadio José Rico Pérez. Brighton & Hove Albion Football Club, commonly referred to as Brighton, is a professional football club from Brighton based in Falmer, East Sussex, England. They compete in the Premier League, the top tier of the English football league system. Brighton's home ground is the 30,750-capacity Falmer Stadium. On 10 January 2012, Llera was signed on a permanent deal by Wednesday, having been released by Blackpool. On 11 February, in a game against Exeter City, he suffered a head injury in an eventual 1–2 away loss,  going on to miss approximately one month of action. After impressing on trial, on 21 July 2014 Llera was offered a contract by Oldham Athletic, which was later withdrawn. He eventually moved to League One's Scunthorpe United late in the month, agreeing to a one-year deal also after a trial period. 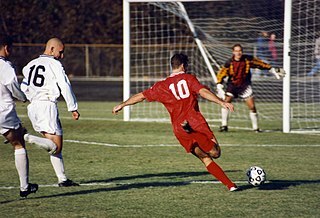 Deon John Burton is a former professional footballer who played as a striker. His numerous clubs in English football included Portsmouth, Derby County and Sheffield Wednesday. He represented Jamaica internationally, including at the 1998 World Cup, and was named Jamaican Sportsman of the Year in 1997. Paul Anthony Hart is an English former professional footballer who played as a defender. He is the assistant manager at Stoke City. Nicholas James Weaver is an English former professional footballer who played as a goalkeeper most notably for Manchester City. He is currently the goalkeeper coach at Sheffield Wednesday. David Anthony Lucas is an English football coach and former professional footballer who is employed as the goalkeeping coach at Fleetwood Town, the final club he represented in his playing career. Anthony McMahon is an English professional footballer who plays as a right back for Scunthorpe United, on loan from Oxford United. Giles Christopher Coke is an English footballer who plays as a midfielder for Oldham Athletic. He has previously played for a number of different clubs in England and Scotland including Ipswich Town, Bury, Sheffield Wednesday, Motherwell, Northampton Town and Mansfield Town. Edward William Nolan is an Irish professional footballer who plays as a defender for League Two club Crewe Alexandra. Leon Marvin Clarke is an English professional footballer who plays as a striker for Championship club Wigan Athletic, on loan from Sheffield United. Paul Harsley is an English former footballer who is now Head Coach of Manchester City EDS. Ángel Martínez Cervera, known simply as Ángel, is a Spanish footballer who plays as a midfielder for CE Sabadell FC. Gary Lee Madine is an English professional footballer who plays as a striker on loan at Championship club Sheffield United from Premier League side Cardiff City. Steven James "Steve" Thompson is an English retired footballer who played as a midfielder. He is currently the first-team coach of Football League Championship side Preston North End. During the 2011–12 English football season, Charlton Athletic competed in the Football League One. Charlton Athletic sealed a promotion to the 2012–13 Football League Championship on 14 April 2012, and clinched the Football League One championship on 21 April 2012. During the 2011–12 season, Sheffield Wednesday F.C. competed in League One, the FA Cup, the League Cup, and the Football League Trophy. It was their second consecutive season in the third tier of English football, and their 110th season in the Football League. At the end of the season they completed their aim of automatic promotion to the Football League Championship, after a remarkable season with so many twists and turns. Caolan Owen Lavery is a Canadian-born Northern Irish professional footballer who plays as a forward for EFL League Two club Bury, on loan from Sheffield United. He has played in the English Football League for Sheffield Wednesday, and on loan at Southend United, Plymouth Argyle, Chesterfield, Portsmouth and Rotherham. He has represented both Canada and Northern Ireland at youth international level, and is one of only a small number of footballers to have played for both Sheffield clubs. 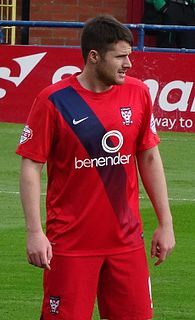 The 2015–16 season is Scunthorpe United's 117th season in their existence and their second consecutive season in League One. Along with competing in League One, the club will also participate in the FA Cup, League Cup and JP Trophy. The season covers the period from 1 July 2015 to 30 June 2016. ↑ "El club espera descarte de Primera tras fichar a Merino y Pérez" [Club await release from Primera after signing Merino and Pérez]. La Nación (in Spanish). 19 July 2005. Retrieved 14 November 2017. ↑ "MK Dons bring in defender Llera". BBC Sport. 1 September 2008. Retrieved 2 July 2009. ↑ "MK Dons 3–1 Carlisle". BBC Sport. 11 October 2008. Retrieved 26 October 2009. ↑ "Brighton 2–4 MK Dons". BBC Sport. 12 December 2008. Retrieved 26 October 2009. ↑ Javier Estera (10 June 2009). "Miguel Ángel Llera ficha por el Charlton" [Miguel Ángel Llera signs with Charlton]. Marca (in Spanish). Retrieved 10 June 2009. ↑ James Chard (27 May 2009). "Llera to leave as talks break down". MK Citizen. Retrieved 29 May 2009. ↑ "Charlton recruit defender Llera". BBC Sport. 2 July 2009. Retrieved 2 July 2009. ↑ "Charlton 3–2 Wycombe". BBC Sport. 8 August 2009. Retrieved 26 October 2009. ↑ "Charlton 2–0 Walsall". BBC Sport. 22 August 2009. Retrieved 26 October 2009. ↑ "Liera completes Blackpool move". Blackpool F.C. 4 August 2011. Archived from the original on 2 September 2012. Retrieved 4 August 2011. ↑ "Llera loaned to Owls". Sheffield Wednesday F.C. 22 November 2011. Archived from the original on 28 December 2011. Retrieved 1 December 2011. ↑ "Owls land Llera". Sheffield Wednesday F.C. 12 January 2012. Archived from the original on 13 January 2012. Retrieved 12 January 2012. ↑ "Exeter 2 Sheffield Wednesday 1: Match Report". Sheffield Star . 13 February 2012. Retrieved 19 May 2012. ↑ "Offer: Miguel Llera". Oldham Athletic A.F.C. 21 July 2014. Retrieved 22 July 2014. ↑ "Swindon Town 3–1 Scunthorpe United". BBC Sport. 9 August 2014. Retrieved 23 June 2015. ↑ "Scunthorpe United 0–4 Preston North End". BBC Sport. 16 August 2014. Retrieved 23 June 2015. ↑ "Scunthorpe United 2–1 Crewe Alexandra". BBC Sport. 13 December 2014. Retrieved 23 June 2015. ↑ "Iron announce retained list". Scunthorpe United F.C. 5 May 2015. Archived from the original on 7 July 2015. Retrieved 23 June 2015. ↑ "Llera lands academy role". Chesterfield F.C. 21 August 2017. Retrieved 2 August 2018. ↑ "Who's Who at the Proact". Chesterfield F.C. Retrieved 1 August 2018. 1 2 3 4 5 6 7 8 "Llera: Miguel Ángel Llera Garzón". BDFutbol. Retrieved 31 March 2015. 1 2 3 4 5 6 7 8 9 10 "Miguel Llera". Soccerway. Retrieved 4 December 2014.